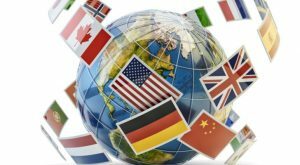 Non-U.S. mutual funds provide excellent choices for those looking to diversify their investment across foreign countries, both emerging and developed. Thus, investing in non-U.S. mutual funds may prove profitable and attractive than those with significant domestic exposure. Below we share with you three top-ranked non-U.S. mutual funds. Each has earned a Zacks Mutual Fund Rank #1 (Strong Buy) and is expected to outperform peers in the future. Nuveen International Growth Fund (MUTF:NBQAX) invests a major portion of its assets in foreign equity securities. The fund invests in equity securities of small-, mid- and large-cap companies. NBQAX seeks appreciation of capital for the long run. Nuveen International Growth A has three-year annualized returns of 5.7%. Joseph R. O’Flaherty is one of the fund managers of NBQAX since 2017. Fidelity Series International Small Cap Fund (MUTF:FSTSX) seeks growth of capital. FSTSX invests a huge part of its assets in non-U.S. securities. The fund invests primarily in securities of small-cap companies and allocates its investment in different countries and regions. Fidelity Series International Small Cap has three-year annualized returns of 8.9%. FSTSX has an expense ratio of 0.55% compared with the category average of 1.52%. Vanguard International Growth Fund (MUTF:VWIGX) invests predominantly in stocks of companies located outside the United States. These companies are expected to diversify assets in countries across developed and emerging markets. Vanguard International Growth Investor has three-year annualized returns of 10.7%. As of March 2018, VWIGX held 133 issues with 5.11% of its assets invested in Alibaba Group Holding Ltd ADR. Article printed from InvestorPlace Media, https://investorplace.com/2018/08/buy-3-non-us-mutual-funds-spectacular-gains-ggsyn/.